Thirty years ago tonight I cried myself to sleep. I was 11 years old and I just witnessed something horrific, game six of the 1986 World Series. It was the worst night of my childhood but maybe it was a blessing in disguise. 1986 was a magical season and it was the first baseball season that I followed closely from start to finish. By the time the playoffs began I was fully invested. The Red Sox were my team and I tuned in to watch them win it all. I tuned in expecting them to win it all. I was a month away from turning 12 and grew up in Upstate NY away from the angst of New England. I was naive and knew fairly little about Red Sox history. I had no baggage. My team had Roger Clemens, Jim Rice, Dwight Evans,Wade Boggs and the guy I called "the glue", Marty Barrett. They were the best team in baseball and the best team wins it all, right? 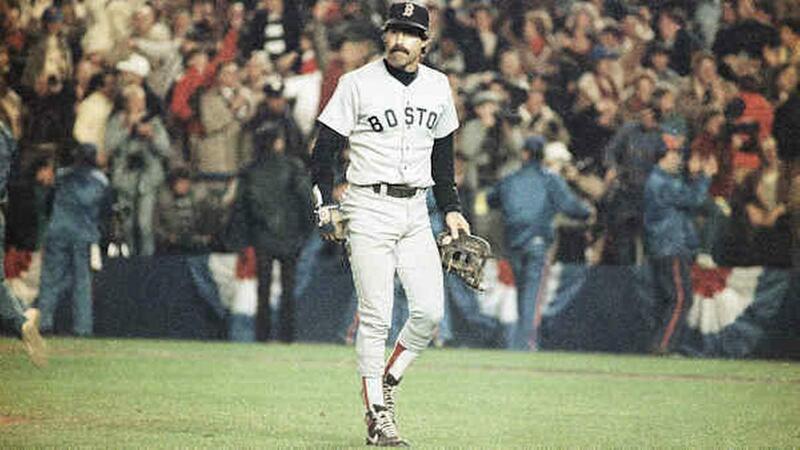 Dave Henderson homered off of Rick Aguilera in the tenth inning putting the Red Sox up 5-3. They were three outs from winning it all. I started drinking kool-aid like it was victory champagne. The bottom of the tenth inning came and the first two Met batters made outs. My team was now one out away from winning it all, with a two run lead and nobody on base. I drank more and more kool-aid. Then it all happened. I stopped drinking the kool-aid and my personal Red Sox baggage had arrived. I was devastated. I watched game seven in silence knowing that the Red Sox would not win, and they didn't. I was a true Red Sox fan now. I had baggage, heart break and I was bigger fan than ever. What if the Red Sox would have won that night? Would I care about them as much as I do today? I doubt it. That night was awful but it made me determined to see the finish line. I wanted to know how it would feel if the Red Sox were to win it all. As each season passed after 1986 I wanted to feel it more and more. It became a passion bordering on an obsession. Seventeen years later the Red Sox had the lead in game seven of the 2003 ALCS. It was the closest the Red Sox had been to winning it all since 1986. The Red Sox entered the 8th inning with a three run lead. I was 28 years old now and was not celebrating. I was pacing around my apartment praying for six more outs. The confident kool-aid drinking 11 year old was killed off. The angst ridden, baggage filled 28 year old Red Sox fan was alive and not well. All of that pain led up to the 2004 season. There are no words to describe what happened in 2004 and the feelings that long suffering Red Sox fans had after seeing their team finally get it right. I was 29 years old and cried when they won. I had an excuse thirty years ago when I cried myself to sleep, I was just 11 years old. I was now a month away from turning thirty and I was crying tears of joy over a baseball team. I wasn't alone thirty years ago and I know I wasn't alone twelve years ago. That awful night in 1986 is what made 2004 so special. 2004 made that awful night in 1986 a less painful memory. October 25th will be tough to forget, it truly was the worst night of my childhood but in two days it will be the anniversary of one of the great nights in my life. Those tears of joy that flowed twelve years ago were from that 11 year old inside of me. He finally got to see how it feels when his Red Sox won it all.